If you’ve noticed that your hearing is declining, you may have already taken action by booking a hearing evaluation with your hearing healthcare provider. It’s a great step in the right direction because there are many problematic issues that could stem from your hearing loss. If it’s your first time attending a hearing test then you might feel uncomfortable or unsure about how the process will unfold. Rest assured, a hearing test isn’t an invasive examination and should be finished within an hour. To help you prepare, we’ve put together four things that you should expect on your hearing test. This will ensure that there are no surprises when you attend your appointment. The first thing to expect is questions. Try and answer these truthfully because your lifestyle and medical history are going to have an effect on the chances of you developing hearing loss. You’ll likely be given a form that you have to fill in and most of the questions will be about either your medical history or your personal health. Once it’s been filled in, you’ll be asked some direct questions and many of them will be about your lifestyle. Many hearing issues can be solved with just a hearing examination. For example, your hearing care professional may find that something is blocking your ear canal or perhaps there is inflammation around the ear which is causing you to lose some of your hearing ability. They will use an instrument that is inserted into your ear canal to inspect for damage or blockages. Next, you’ll be moved into a soundproof room to start a full hearing test. You’ll likely be asked to put on some kind of headset and the practitioner will use a series of devices to send tones to your ear. Much like an eye test, you’ll be asked to respond if you notice or hear anything. 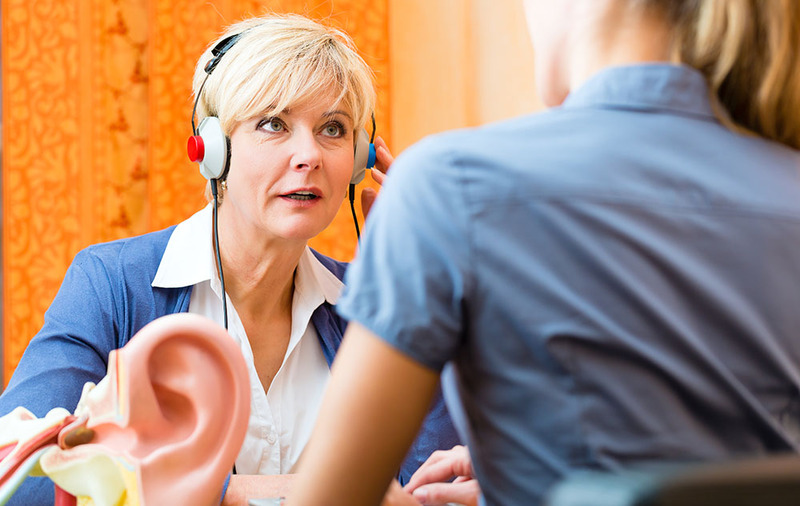 These tests are the main focus of the hearing test and will serve as a thorough examination of your hearing ability. These tests will be run several times to ensure they are accurate. What type of hearing loss you have? Will you need a hearing aid? Will you need a hearing aid in both ears or just one? How much will a hearing aid cost? How can I slow down my hearing loss? Your hearing care provider will be able to answer most of your questions and concerns so be sure to ask anything that comes to mind so you can clear up your worries.